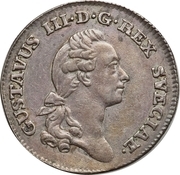 Bust of Gustav III, King of Sweden facing right. Legend around rim. 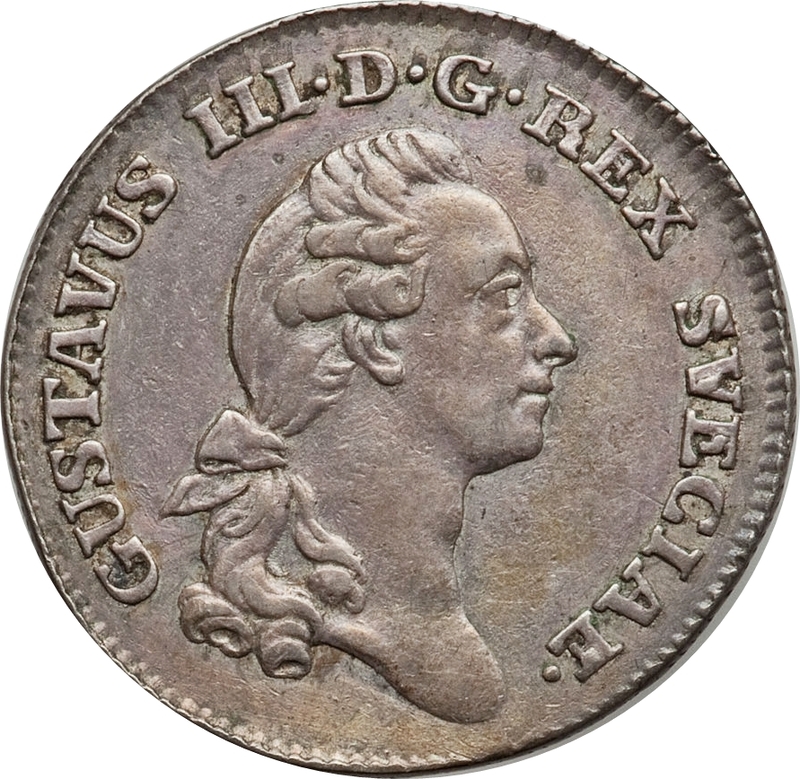 Crowned lined orb with the Three Crowns of Sweden within the Chain of the Order of Seraphims. 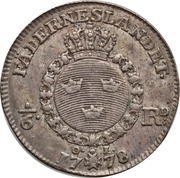 The Chain pendant divides date and mintmark below, while value is at both sides of the orb. 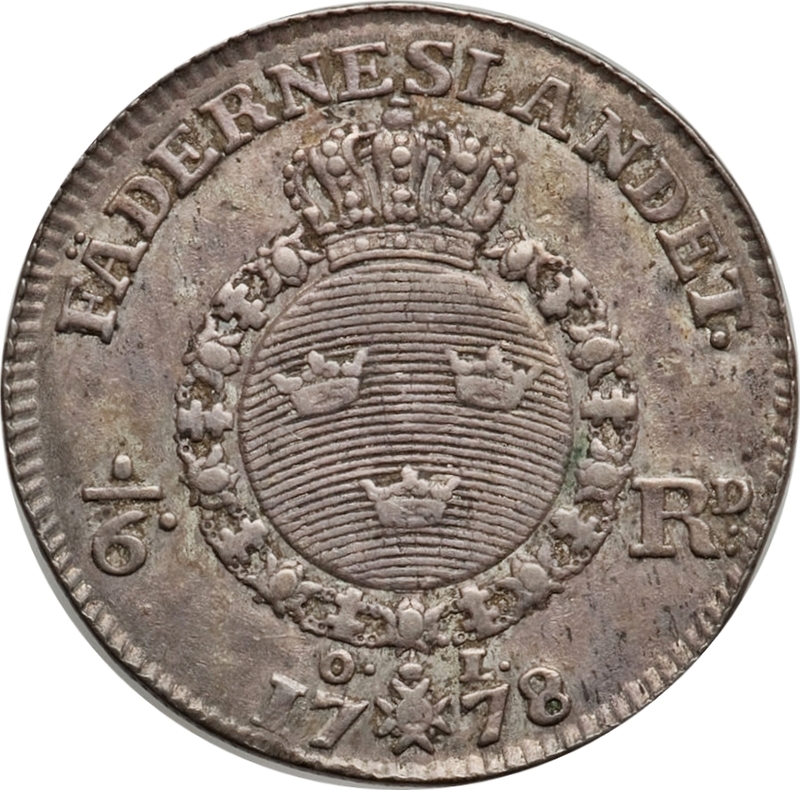 Above the crown is the King's motto.